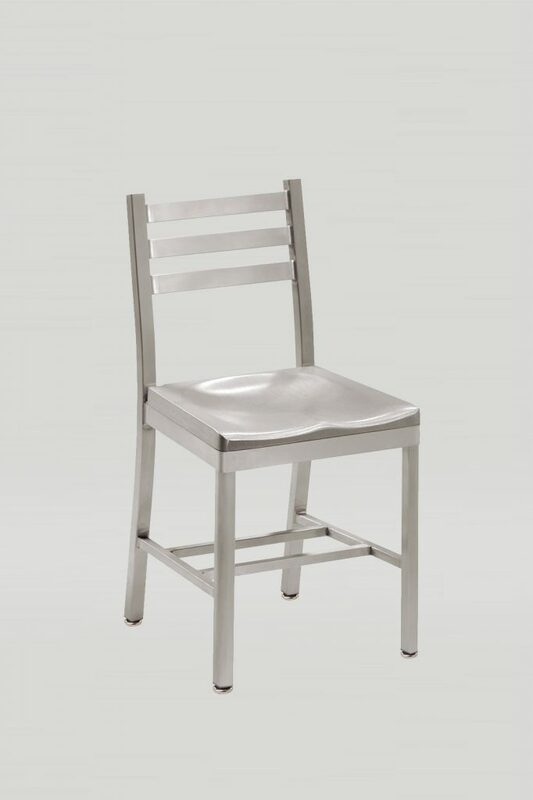 The Siren chair has a brushed aluminum frame, making it lightweight and durable. 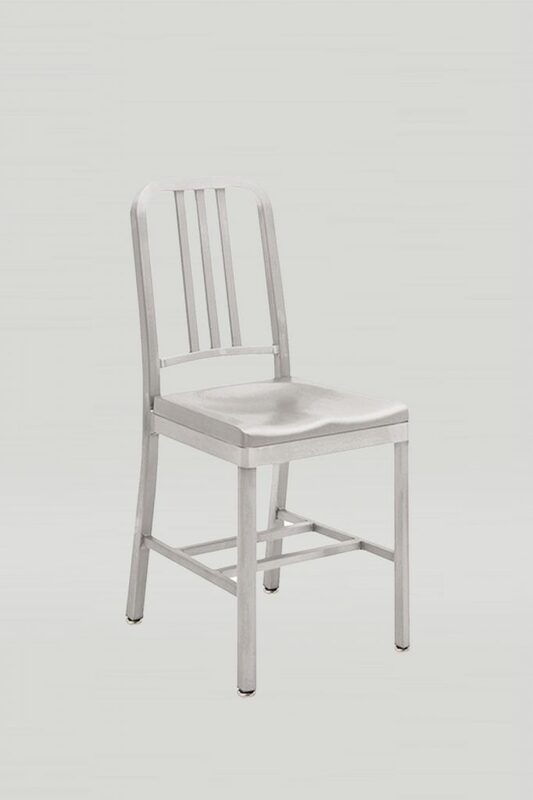 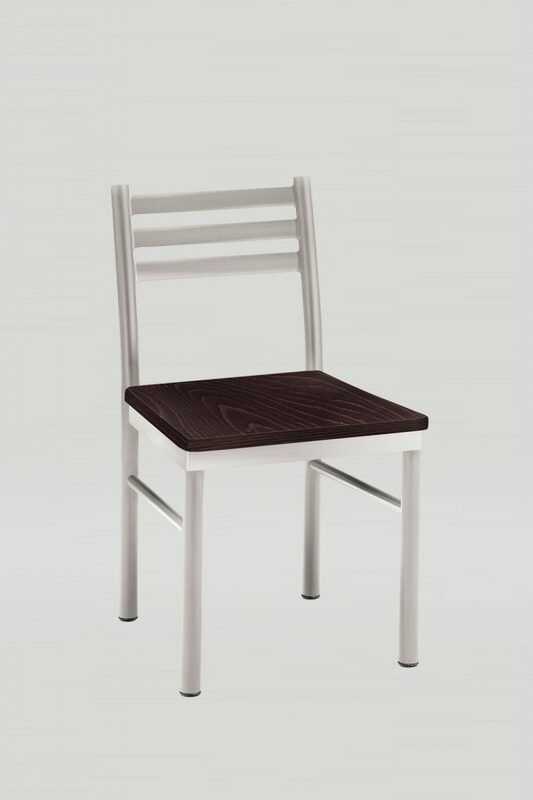 This chair is great for indoor dining applications and is available with a wood, brushed aluminum, or upholstered seat. 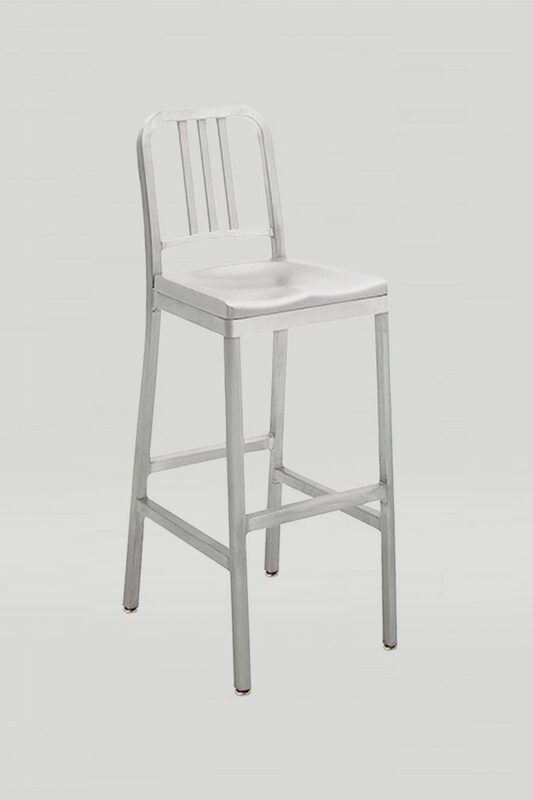 Its classic design characteristic give off an industrial vibe that can be played up or down depending to fit any space.